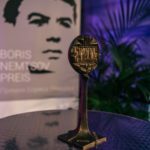 The Boris Nemtsov Foundation for Freedom has a fellowship program for political refugees and political emigrants from Russia launched in 2017. 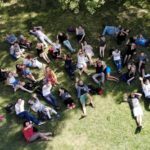 The goal of the program is to support those people who had to flee Russia but are still willing to stay engaged in Russia’s political and social life. Among our fellows were Jenny Curpen (Finland), Maria Noel (France), Vsevolod Chernozub (Lithuania) and Ali Feruz (Germany).